Many believe that Apple’s incredible success is due to its Vertical Integration Strategy. The idea behind Vertical Integration is that by owning more of parts needed to create a complete solution its possible to make a much better solution. Apple makes the hardware, the operating system, and many of the critical productivity apps in its products. By contrast, Microsoft, Intel, PC Manufacturers, and Windows Software Makers all have to work together by loose (and sometimes factious) collaboration to produce an end result. The latter situation is where we find CNC today. It’s actually not a bad thing at all for industrial users. They’re power users who want to be able to mix and match a solution to fit their needs. Apple is not very strong in the equivalent PC Server market, despite having tried several times to gain penetration. Where Vertical Integration matters is where maximum ease of use is needed, not where maximum power is needed, and Desktop CNC is exactly where such a difference will matter. 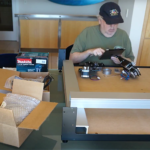 We’ve seen an increasing number of machines appear on Kickstarter and elsewhere as the market struggles to crack open the Desktop CNC Market. There are some great solutions out there, with Tormach being perhaps the leader of the pack. Their machines are not Desktop though, and are perhaps borderline too expensive for the broadest of markets. What’s left has been a gaggle of machines, many of them lightweight routers. No one company makes both the software and the hardware, nor have they integrated all that to make a significantly easier machine. Until now, at least that’s the vision behind Carbide 3D”s (the company) Nomad (the machine). I’ve been a believer in MeshCAM for a long time as being the easiest entry-level CAM package available for beginners. It doesn’t try to be all things to all people. What it tries to do (and succeeds at brilliantly) is to be as simple as possible to use. When MeshCAM author Robert Grzesek told me he was working on a complete solution from CAM through to a machine, I was intrigued. Carbide 3D has just launched the Kickstarter program for their machine literally yesterday, and they’ve already reached their modest goal, so this machine will be a reality. They’ve thought hard about how to simplify CNC for beginners, and the new machine shows it with a fully integrated software suite, built-in tool height sensor, and more. I’ll let Robert tell the story in his own words via this Guest Post, rather than steal his thunder. Hi – I’m Rob Grzesek, founder of GRZ Software, a CAM software company, and lately a co-founder of Carbide 3D, a desktop CNC manufacturer. It’s hard to read any tech news without coming across another article about 3D printing and how it’ll change the world. I don’t know about you, but I’ve had more than one non-technical neighbor come up to me and ask about 3D printing and how it’ll change things (or tell me how it’ll change things). Let me say up front that I love 3D printing and that I’ve owned an industrial-grade machine for years. It really feels like magic each time I use it. 2) The process doesn’t scale. There’s endless talk about 3D printing democratizing manufacturing but it won’t. It’ll make prototyping and engineering easier but making 100 parts in a 3D printer takes 100 times the cost and time of a single part. There’s no economies of scale and no way to make the underlying process dramatically quicker. It will never compete with injection molding. 3) Accuracy is not great. If you have two parts that need to fit together then you need to modify them to to account for the lack of accuracy in the 3D printing process (This is not as true for the very high-end machines) I regularly have to shift parts by .3 to .5mm to get a proper fit. 1) The machines are far from ready-to-run. 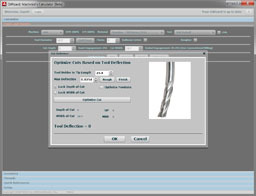 You’ve got to buy CAM software, G-Wizard (of course), cutters, fixtures, and then know how to use all of it. 2) Job setup is a pain. Figuring out how to hold stock is tough- figuring out how to maintain alignment for multiple setups is even tougher. Being a CAM software developer, I’ve always been a huge believer in CNC milling in spite of these flaws. 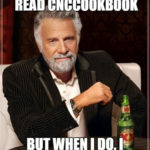 If you’re here on CNC Cookbook then you’re probably a believer too. 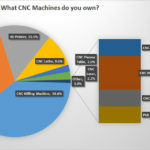 For CNC to get broader media coverage and adoption by a wider audience there needs to be a new class of machine and a new level of integration between software and hardware. Current machines are too intimidating for “normal people”. 1) Making it totally ready to run- all software is included for Mac and Windows, fixtures, cutters and materials are included to get new users up and running quickly. 2) A full enclosure. People we talked to were turned off by the mess of traditional machines. We even made the enclosure available in HDPE or bamboo to make the whole machine more attractive to users who will keep it in their office or home instead of their garage or shop. 3) As much automation as possible. We made sure to include homing, tool length setting, and factory calibration to make sure we eliminate a lot of the tedium of CNC setup. We believe that CNC milling is a hugely underrated technology, and that a product like this will help bring it to a new group of people who would be scared off by traditional CNC machine. You can follow us on Kickstarter or at carbide3d.com to see if we pull it off. We’re fairly sure that there will be lots of new entrants into this category and we’re hoping that more people will mean more exposure for CNC. PS, I’m sure Robert will monitor this post, so please ask any questions you may have for him in the comments section. And do check out the Kickstarter link. There are a ton more pictures. The ones of work done on the Nomad are especially interesting. We Robert and Carbide 3D the best of luck bringing CNC to a broader audience with Nomad. Apple does not make any hardware. Inside lie Intel CPU’s, nVidia or AMD GPU’s, etc. All of it sits inside a custom-manufactured case, made FOR Apple on contract. Their phones are made on contract, including hardware from other manufacturers as well. Their biggest success is in standardization. They were small enough to take a risk that Microsoft never could have (and is paying for now), and it’s ridiculous to think that they make anything at all. Most of in-house Apple is software and industrial design teams. Atom, strictly speaking you’re correct. OTOH, if they pay to have it manufactured to their designs, they make it. That’s the nature of how vertical integration is defined. At the end of the nineties I was taking my fist steps in to using the internet. Putting pictures on the Internet was a pain. It involved scanners, that were only available to professionals and were very expensive. There were some experiments with digital sensors in camera’s. Fast forward 15-20 years and Kodak is belly up and film is all but extinct. Cell phones all have cameras in them that have more pixels than film ever had in consumer applications. Sven, back when film and digital discussions first broke out, it was clear what had to change for digital to compete–cost and resolution. Moore’s Law was obvious even then, so it’s not too far fetched to say that the digital world was not only inevitable, but predictable. Kodak faced the Innovator’s Dilemma and failed, like so many other big companies have. It’s not clear the issue around injection molding is in the same category. The problem is actually related to Moore’s Law and the digital/film argument in the sense that Moore’s Law worked because of how chips are made via lithography. A 2x increase in resolution yielded a 4x increase in area and hence power. There was a multiplier, in other words. And, it was relatively easy to get those resolution increases for quite a long time. They came every 18 months. So far, no such multipliers are in sight for 3D printing. They’re too mechanical. Maybe the optical processes can get there, but the resin chemistry seems to be a drawback so far. Either way, mechanical or chemical, it’s much harder to make progress quickly. Personally, I think the biggest factor that will drive 3D printer acceptance for large markets is a push for personalized unique products manufactured in small quantities. That minimizes the advantage of injection molding because you amortize the mold cost over too few parts. BTW, even today 35mm film has higher resolution than consumer digital unless you’re talking about high ISO (or high ASA if you prefer) films. They tend to work better in low light consumer applications, although CCD’s are far more sensitive for astronomical applications. But, the CCD’s have “good enough” resolution. “Good Enough” works for a lot of consumer apps. iPods and MP3 sure killed vinyl and audiophile. Not to derail, but I spent my high school years developing and shooting 35mm by the bulk roll, using high grade Nikkor glass. My OM-D, which has a mere 16 megapixels, gives me beautiful 17×22 prints where I was happy to get an 11×14 20 years ago. IMHO it is more comparable to 120 film in its output than 35mm, just as medium format digital is competing with 4×5. On topic, this is an interesting idea. Meshcam isn’t right for me but as a system of thinking I suppose it fits what a lot of other people want to do and that’s great. Curious to give this a deeper look. Colin, much of the difference is in the lenses moreso than the actual resolution. While 35mm has more “pixels” in terms of grain size, the real difference is we’ve learned to make aspheric lenses. Despite having had “high grade Nikkor glass”, modern aspheric lenses are quite a bit higher quality. We also have the benefit of image processing and not having to run our images through two sets of glass (those darned enlargers or slide projectors). My comment was primarily about using the expression “that will never change” using digital photography as an example. My point is that progress usually takes a path that most people can not comprehend beforehand, even when it is easy to explain afterwards. What may easily happen is that just because 3D printing opens up options for very small production runs, more products will be made in small quantities. Even if injection molding is “cheaper” it may end up “obsolete” because no more big quantities are needed. Off course, IM will not become totally obsolete. But in history there are plenty examples that show that “It will never happen” is wrong because of a misplaced trust in how things are at that moment and thus are believed to stay the same forever. Sven, there is no end of predictions of all kinds that failed to come true. Both “this thing will be here forever” and “this thing will be replaced” fail. My point is I simply want to see the logical argument for why a particular prediction may be true. Just arguing that prediction is hard doesn’t sway me. Absent a reason for change, inertia is painfully powerful. In addition, if it doesn’t change in a useful timeframe, it might as well not have changed and the prediction holds. Ah, ok. You want logical arguments. Well, my main beef with the argumentation on building a desktop mill for the masses is based on an assumption that there are things wrong with 3D printing that can not be certain to remain the truth. 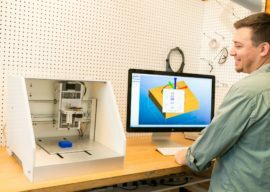 If I read the post correctly it states that there needs to be a desktop mill because 3D printing will miss on a few key point. But I feel that point 2 and 3 are just plain wrong, or will be proven wrong in the near future. I thought a while back that it would improve production dramatically if I could come up with a continuous powder sintering 3D printer. 5 minutes later I found that a company already had one. And resolution? If the powder is fine enough and the laser beam thin enough, resolution becomes better and better…. 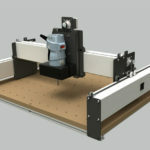 Now that does not mean that there is no market for desktop cnc. The kickstarter campain is going great. But if it will survive? I’m not sure. 3D printing does not take that much skill or knowledge while milling does. As soon as users discover that, some mills may move to the attic. Sven, there’s quite an assumption being made that laser sintering machines with significantly higher accuracy and much faster throughput (especially comparable to injection molding throughput) will be in the price range of a machine like this any time soon. I will be surprised if we get there in 5 years, which is a very long time indeed for technology related products. I’ll be pleased if I am wrong and one of the first to want the new toys. But for now, I look at the price of even basic laser engravers, which are much simpler than laser sintering, and I am not optimistic. The other point I think you miss or downplay is that what’s fundamentally new about the Carbide 3D machine is they are radically simplifying the level of skill and knowledge milling takes. That’s really what’s different about this machine, and I suspect is the primary reason why the Kickstarter is doing so well. The audience understands and agrees with Robert about the shortcomings of 3D Printers as well as that the main obstacle to broader mill adoption is complexity. Apparently they like the “solutions” offered by this product. Quite a few must, looking at the popularity of the Kickstarter at any right. That’s certainly plenty to launch the product and see it grow. Bob, you and I might have to disagree on film. You can find plenty of tests done with identical lenses that show better MTF from digital sensors in the 10-12MP range. It simply turned out that film is nowhere near as sharp as we thought it was. You can count the number of molecules of silver halide on a rectangle of film, but that’s not how many megapixels of detail it can resolve. And yes, modern lens designs are vastly superior, but above a certain MP digital will out-resolve 35mm film through the same lens. I look at it the same way I do guys who insist HSS is better on small machines because it’s “sharper.” Once I started using honed, high positive inserts I never looked back. Ditto film! On topic, it’s easy to see this machine being great for an electronics hobbyist or robotics tinkerer. It’s allegedly equally or more capable than a Taig or Sherline, and costs less, and is easier. 3D printers can still beat it in absolute ease for part geometry with drafts or undercuts, and the mythology of “make anything with the push of a button.” That’s why they entered popular culture. I suspect most 3D printers will make a few doohickeys and then collect dust in the corner by all the other wizbang toys. A few people will do. Dry interesting things with them and then discover all of the limitations. This machine might be a perfect second machine for a lot of them as it addresses many of the limitations without being as extreme a move as a Tormach. Regarding laser sintering and such, I would agree that it’s hard to see these entering the hobbyist domain anytime soon. Some processes don’t scale down well. Look at waterjets–that’s a very mature technology, the key parts of which are well-understood. It just seems like there’s no way to generate and control 50K PSI without a lot of really expensive parts. Silicon, as you said, was a very linear scale. To make waterjets cheap, we’d need to discover entirely new ways of generating that kind of pressure. And even if you can find a machine cheap, simply operating them costs real money. It’s like one of those flyable used MiGs you see in trade-a-plane for $50,000. Laser sintering looks like it has a lot of similarities. LOL, Colin, we will agree to disagree on the film issue, though I would like to see at least a few links that support your position. For my position, I offer every search result on the first page from Googling “film versus digital resolution.” They all indicate that except for high ISO (e.g. fast and grainy) situations, 35mm surpasses the resolution of digital. Yes, there will be articles that disagree, of course this is true for any controversial Internet topic. But at best, that makes it a tie. This stuff can easily get into the kind of silliness you see in the hi-fi community, where you have guys who swear that their $6,000 cryo-treated speaker cables sound better, and if you try to do an A-B test, they’ll keep arguing over the methodology until you give up and go away. To that end, I like Koren’s analysis which is based on an information-theory approach. There is one area where film is still unambiguously better, which is dynamic range. Sensors are improving steadily, and will likely match it someday, but good film can capture ~20 f-stops where sensors these days are still in the 12-15 range IIRC. Anecdotally, the OM-D is the first digital camera I had that gave me B&W prints I was happy with; prior to that I didn’t have enough DR to get good tonal range and contrast. Reichman’s article shows that with a higher quality scan of the film, he saw a significant improvement from the film–proof positive that whatever differences were going on were downstream from the film itself. Even before I saw that part, I was trending down that path just by the amount of image processing he was doing. He also doesn’t use the same lens with the film as the digital. Not a good rebuttal of film having higher resolution than digital, just a good testimony to digital being more convenient and simpler to produce better results with. That’s something I can wholeheartedly agree with, but a different proposition altogether. The other article dwells on MTF (photographic THD?) as the meaningful measure, but goes on to say it doesn’t consider grain because that’s noise, not resolution. I’m sorry, but to me that sounds an awful lot like handwaving. The MTF, of course, will vary for the film and the lenses, and here again, we’re not measuring the result with the same lenses on the 35mm versus the digitals. MTF, I think, is a reasonable way to compare two lenses, but when comparing two systems that go all the way from the whole camera (lens + film or sensor) to the print, I’m skeptical about how easy it is to say, “And therefore all digital of a certain sensor resolution beats all 35mm” just because some combination of one beats some combination of the other. In any event, we have agreed to disagree and can consider the nerd bake-off done. Thanks for the links! You bake a good cake, Bob 🙂 in a month or so I’ll have a good project to share–a nice 6-axis open source PUMA arm I’ve been working on for about a month with ~2′ reach and 1 pound end of arm payload. got the first three joints working and making parts for the last three and gripper now. Should be fun when it comes to life. Laser printing had not been invented and the laser itself was probably in its infancy. And it took a long time to get from that inkjet printer to todays consumer laser printers. I still say that this may all be overtaken by developments that we can not yet comprehend. With the first inkjet printer it was incomprehensible that just about every household would have one, because IBM still had to introduce the personal computer. Of which when they did introduce it, they said the world market would be about 20.000. Quite a discussion going on! I think the 35mm, vinal, etc argument is interesting, especially as those markets have certainly taken a hit, yet still remain and are even showing some growth. Their market has changed, but in effect mp3 have brought music to more people, digital cameras have put photography in the hands of everyone. The market may have shrunk for the legacy systems, yet the market itself exploded. How does this relate to 3d printing, only time will tell. I do find the manufacturing argument to be both valid, and mute at the same time. Most home metal working machines are as well suited to mass manufacturing as a 3d printer is. In the industrial world injection molding is king and will remain so for a long time, but I expect that to change. Perhaps in 5 years it will be a mute point, industrial will still need 100 of some part, but the consumer may just go to Wal-Print and buy a download for a paper towel holder and print it off, instead of buying one of the mass manufactured ones off the shelf. Injection molding may still be king, but won’t be as needed, much like 35mm (arguments aside…). As far as the kick starter mill goes I wish them luck, it looks interesting. I’m not certain of the vertical integration idea, many have tried and failed simply due to proprietary software/tools. Heck, 3d printing hardly can hold that over machining, and the main difference being the abundance of open source tools. I recently built a g0704, and have been trying with getting a Rostock, and aside from the name being different I hardly am noticing a difference. Meshcam, linuxcnc, cambam, freecad, sketch up, or trade those for repeater, cura, KISS, Slicer, 123D, and as far as complexity goes you trade tool selection and setup for heater settings and tip diameter, 6 of one, a half dozen of another. IMO the big growth has come from cheap software, good publicity, and an active and involved community. Kyle, thanks for joining in. They key to any disruptive force is to understand where its strengths and weaknesses can play best. Often, they do not replace the incumbent completely or even immediately. Digital vs Film and MP3 vs Vinyl are good exceptions. In their case, they radically lowered cost while increasing convenience. That grew the market. 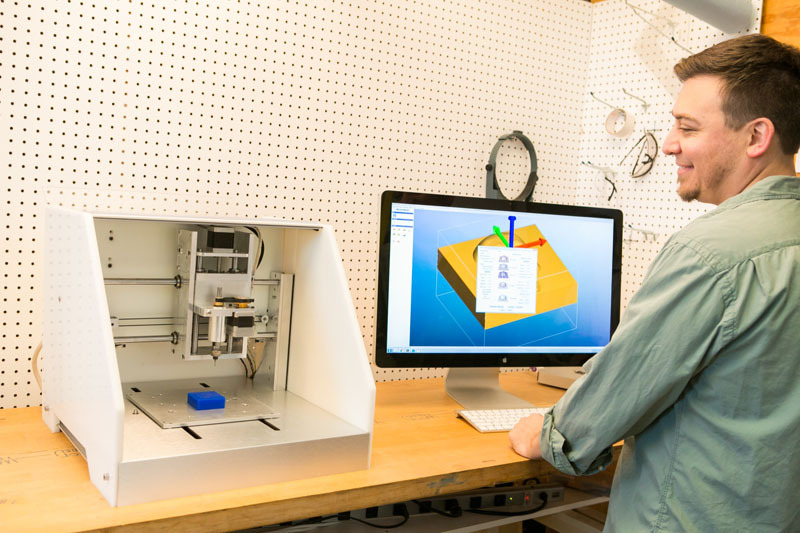 3D Printers can do that in the sense that perhaps a lot more people may be able to benefit from owning a 3D Printer than a Haas or other industrial class CNC mill. Nomad’s mission is to lower that bar on the milling side, and I believe they’re doing a nice job of it as has Tormach. But another way to look at it is to try to understand where 3D printers have a unique advantage. Would it be paper towel racks at Walmart? I’m skeptical. That’s the “price is everything” world by definition and they want cheap more than quality or uniqueness. I’m printing phone cases right now on my printer and they take not quite 2 hours. An injection mold would take seconds. Hard to imagine ANY 3D printer innovation that will speed them up that much. Maybe, but I’m skeptical it happens within 5 years. This is not a young industry at the industrial end, only at the hobby end. What they can do very uniquely, is make it possible for me to make one-off custom cases for me and my friends (first time most of them have taken an interest in my CNC, lol). Whether it be from a 3D Printer or a super easy to use mill like the Nomad, that’s an interesting new development. Don’t look for it to replace the incumbent technologies. Look for it to create new markets they cannot address.